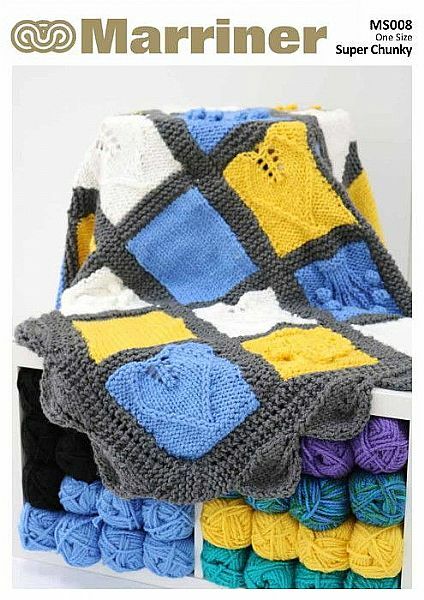 A large blanket pattern knitted in our super squishy Super Chunky yarn to make a beautifully soft and cosy blanket. Perfect for snuggling up on cold nights. 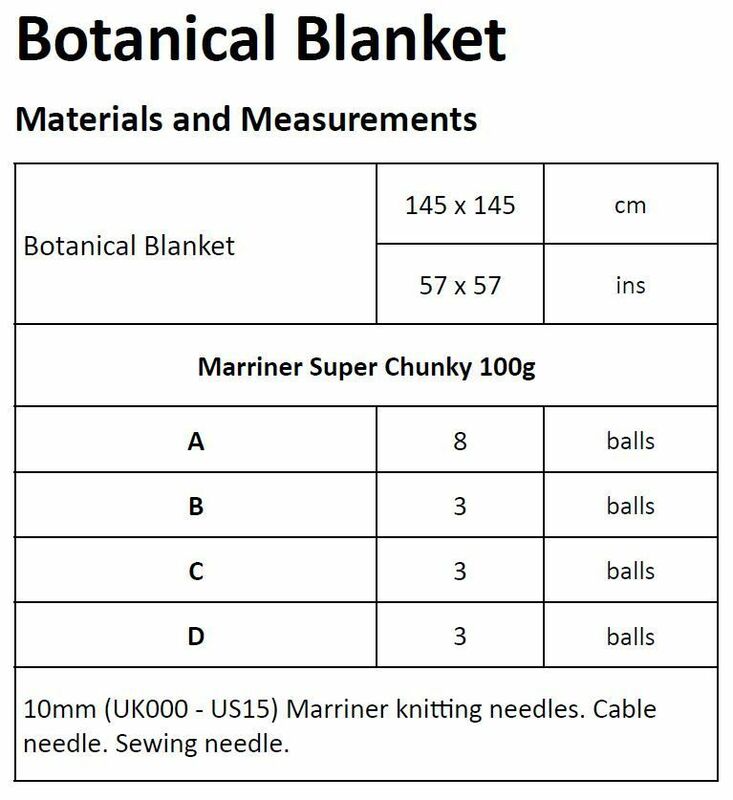 Hooks required 10mm (UK000 - US15) Marriner knitting needles. Cable needle. Sewing needle.